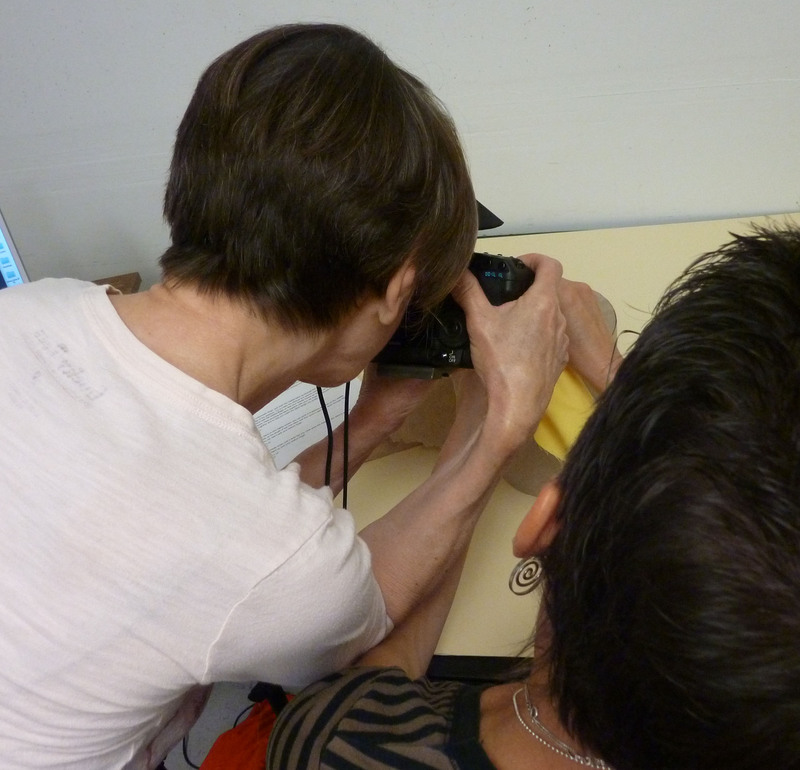 I've just finished the two-day photo shoot for our next book. Almost half of the photos had my hands in them. Thank goodness for Donna, who takes care of my nails! I followed her advice and lotioned up well! 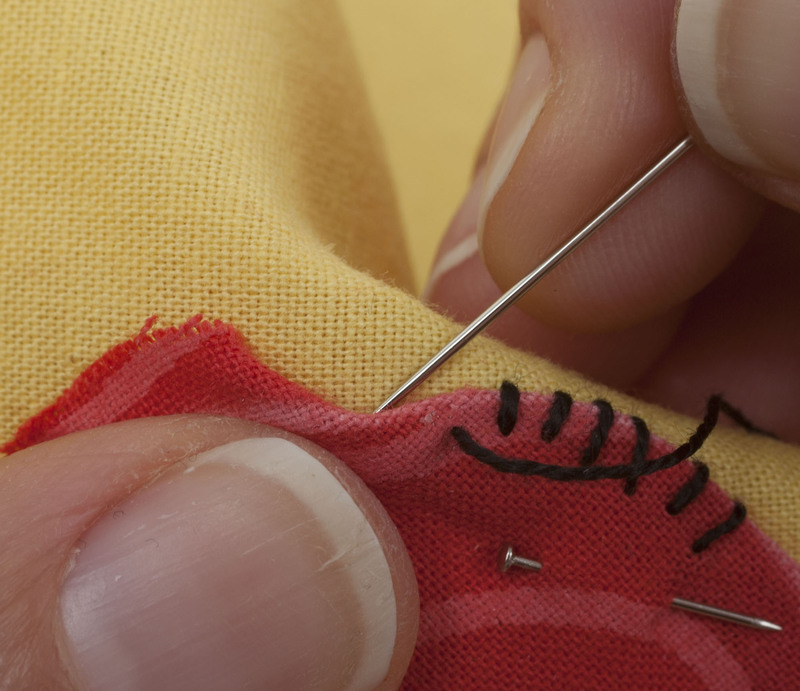 Before we started writing books I never thought about the work that goes into the photos in a quilt book. I can tell you now – it's work to decide what to take pictures of and to put together the supplies for each photo. Luckily Lynn and Carolyn (editors), and Diane Pederson (photographer) at C&T make sure that the photos look great in the books. This time it was my turn to go to CA for the photo shoot. Here are some shots of Diane and me, working. Carolyn is out of the frame, keeping track of what to shoot and changing the text as needed. I'll admit that I've looked better in photos but my face wasn't in any of the photos for the book :-). I would figure out how to hold the stitching in my hands for the shot and then I'd move my hands out to the place where the light was best. Diane would lean in, I would lean away and then down so as not to block the light. 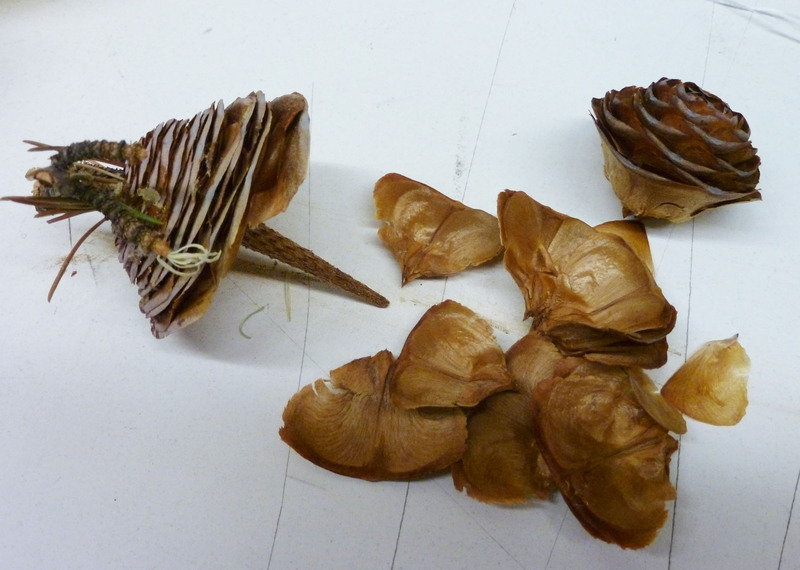 I'd never seen this variety of pine cone before. It was heavy and dense and sticky in places from the pine resin. I got this photo taken and was going to put it in a ziplock bag and I must have held it too tightly in just the wrong place because it exploded in my hand! Pine cone parts ended up all over the floor. There were a lot more 'leaves' than this but what surprised me the most was that pointy part from the central core of the pine cone. 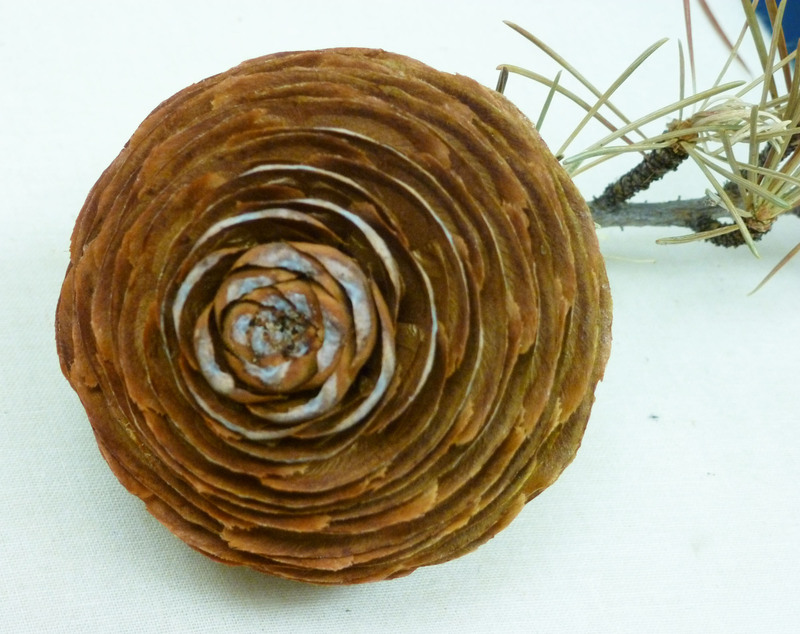 Who knew that this structure was inside that pretty round pine cone?! I'm glad I got the first photo when I did. You will regret it if you don’t buy that robot clock!! Voice of experience here (not with a robot clock, but other things.) Get it!!! Just think of all the giggles and smiles every time someone sees the robot clock! Buy it! And the photos look good! You can really see “how” to do it! Looking forward to the book! Noooo! Don’t buy the clock!!! it will look at you from the mantle until the end of time! Don’t buy it!!! Becky, I hope the store is open.